Enter Your Email Address To Get Regular Updates!!! 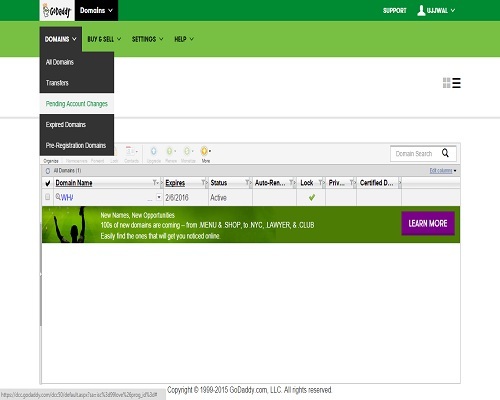 If you want to sell domains or you are newbie in this field and want to learn how to do godaddy domain transfer from one Goaddy account to another godaddy account then this thing you can get here. 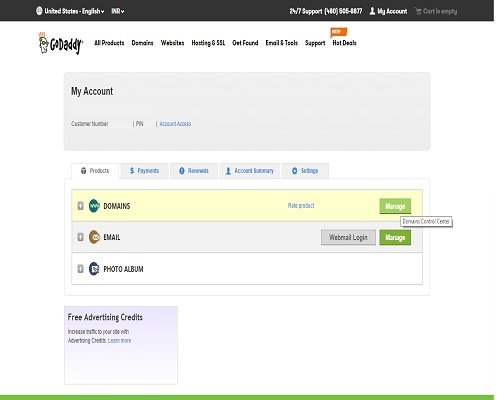 Godaddy Domain Transfer is very easy .Many people are selling and buying the domain now a days because it is booming industry. 1) Login to your Goaddy account. 2) Click on Manage in the Line of Domains. 3) Then click on your domain name. 4) Then a new page will open.Now click on the “Account Change” tab below your domain name. 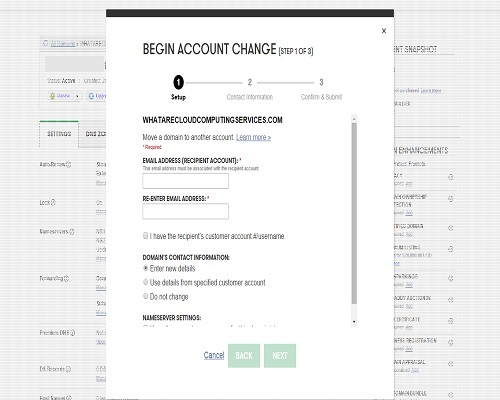 5) A new window will open which will show 3 steps you need to follow for account change. 6) Type the email ID of the recipient’s account and retype it below just to confirm by you. 8) Type the “Customer Number” of the recipient’s account which you can get in “My Account” section of recipient’s account. 9) Now “DOMAIN’S CONTACT INFORMATION” Do not change. 10) Click Next and next and then submit it. 12) Now click on the “Domains” and go to the “Pending Account Changes”. 13) Click on “Incoming Account changes” and in the right hand side you will see the transferred domain is available. 14) Select this domain and then Accept the “Terms and Conditions” and then next and submit. Now you can check the transferred domain is available in the recipients account. If you want to enter the new information of the domain holder then type it manually. This was all about the godaddy domain transfer from one godaddy account to another godaddy account. Ujjwal Swami is founder of Go For Tricks and a Entrepreneur. He is Domain Name Investor and working for Domain Name Industry. His motive is to educate the people about domain name industry which is growing and to motivate domain name investors to build their business online.